It is located in the beautiful village of Arieseni, Vartop where you can enjoy your holiday. 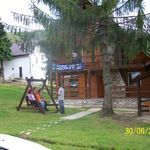 It is located at the border of Bihor and Alba County, on Route 75, 150 km from Deva, 110 km from Oradea, 160 km from Cluj and 130 km from Alba Iulia. The guesthouse is divided into two parts and was built in 2004. 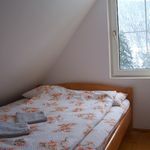 It is equipped with 9 bedrooms (8 rooms with 2 beds and 1 room for 4 pers. ), 7 bathrooms, living room and kitchen, for 20 persons altogether. 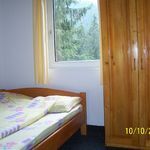 Five rooms are equipped with separate bathroom, and four of the rooms have 2 bathrooms that are available in the attic and downstairs. Each room is equipped with TV. 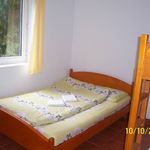 The guesthouse also has central heating, permanent hot and cold water, kitchen, living room with TV and DVD, barbecue facilities in the yard, playground. The rating of Pensiunea Heidi Vârtop is 9.2 from the maximum 10, 18 based on actual and valid guest ratings and reviews. Based on the reviews and comments of actual guests, the services of the Pensiunea Heidi Vârtop have received a high rating of 9.2/10.